Sufjan Stevens’ Carrie & Lowell is a hyper-specific recount of memories from Stevens’ childhood, and of the emotions that struck him following the death of his mother, whom he barely knew. And while the actual facts that the album is based on seem like they could provide a wealth of fertile ground to cultivate great art—and they do—there is also the possibility that the events could be too personal for listeners to relate to or to gain something of an understanding to apply to our own life. But that’s the thing about family: everyone has one. Everybody comes from somewhere, and no matter how perfect your situation—how loving your mother or father, how ideal your childhood—ideas of longing and loss and a desire to understand events that you might have been too young to fully grasp at the time are ever-present. Making sense of life’s misfortunes is not new to Stevens. Previously on Age of Adz he went glitchy electronic after growing tired of his voice, the banjo and the trumpet, in a need to exercise demons of heartbreak, depression and physical illness. But it is fitting that he returns to simplicity to tell the story of his childhood, as the music retreats to Stevens’ most bare and minimal. It is almost a devolution of all he has learned as a composer to get back to his most basic of themes: the desire to be loved and our own mortality. On “Blue Bucket of Gold,” he requests “Tell me you want me in your life, or raise your red flag, just as I want you in my life.” His wishes are plain, his needs not convoluted in the least. Lyrics range from the graphic (he masturbates on “All of Me Wants All of You,”) to the comedic (he is called “Subaru” on “Eugene”), but these are all foils for the big emotional payoffs, with Stevens enough of a master at this point to know how to balance the gut-punches and the uppercuts. “Should Have Known Better” is among Stevens’ (or anyone’s) best compositions, with a silky melody turning from mournful to hopeful on a dime, running the gamut of emotional peaks and valleys, spanning generations over four minutes. In terms of ambition and achievement, there just aren’t many songs better. Elsewhere, Carrie & Lowell is an album less about the individual songs and more about the places that the songs take us, the questions that are asked, the irrefutable truths revealed, and the way all these elements work together. Nowhere is this more apparent than about midway through the journey, when Stevens has the audacity to repeat “we’re all gonna die” on “Fourth of July” (earlier on the album he was more subtle, offering that “we all know how this will end”) and follow it with the album’s most beautifully conflicted song, “The Only Thing,” which hides some of Stevens’ most gut-wrenching lyrics behind a hopeful, delicate arrangement and melody. When he finishes a thought by proclaiming “I want to save you from your sorrow,” a flood of music overtakes him, and the audience is left to feel the same exact way, wanting nothing more than to comfort our faithful songwriter at his lowest point. In a recent interview, Stevens said, “I’m not the victim here, and I’m not seeking other peoples’ sympathy.” And indeed, he does one better by inspiring our empathy. Carrie & Lowell could easily seem like looking through a stranger’s family photos, smiling and nodding while someone else connects to the past, but unable to really sink into an unshared experience. Stevens instead taps into the universal losses that people at some point must face, and even if they haven’t, they are vividly painted here to the point that the singer’s pain is all of ours. On the beautiful “No Shade in the Shadow of the Cross,” Stevens frequently ends lines by holding them too long, letting the loss of breath seep into the expressions, the quiver and shake of exhaustion ever apparent, like his very soul in departing with the conclusion of lines. It’s a fitting thought for an album that often feels the same way, as if every ounce of emotional honesty Stevens possesses is laid on the table. 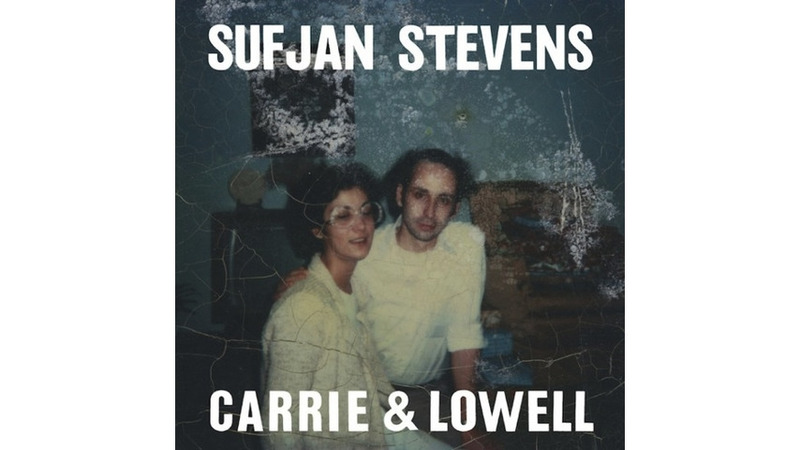 It’s the corollary to an earlier line, where Stevens asks “What’s the point of singing songs, if they’ll never even hear you?” Carrie & Lowell is a demonstration of why Stevens sings songs, of why we listen to songs: to feel less alone, to make sense of the things that are hardest to make sense of. Hopefully it proves as rewarding to the singer as it is for his audience.